Monday Made It- Supply Caddies, Hall Passes, Scales, and an open house freebie! 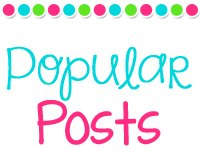 I'm linking up with 4th grade frolics for another Monday Made it. 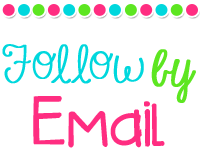 I've got a few pretty big projects to share today! I have shelves with supplies at each of my student tables (see the post here) and I decided that the caddies I use for pencils/markers needed an update. I am really loving the results! 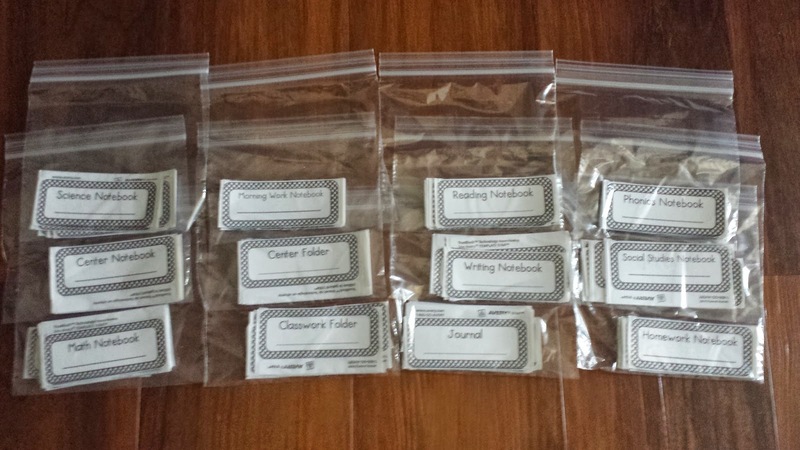 Hopefully this will help my kids keep things a little more organized this year than my class did last year! 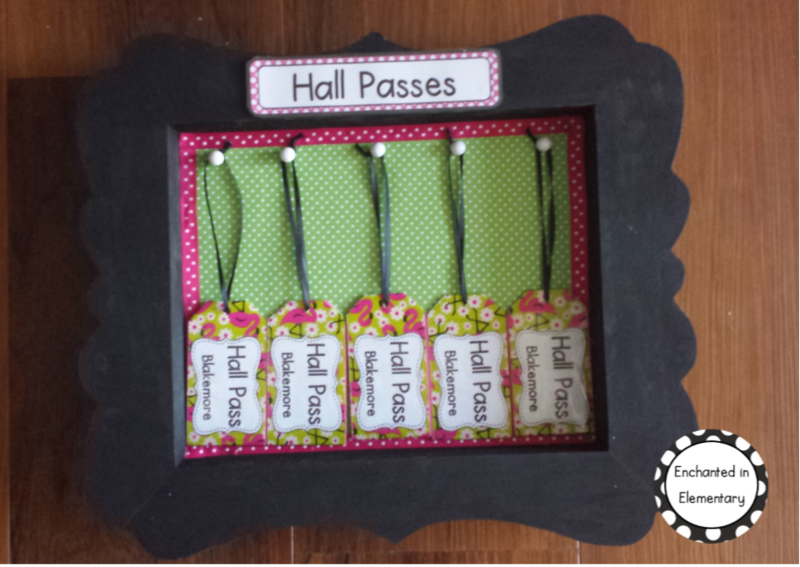 I've seen a lot of pins about hall passes and wanted to fancy mine up a bit. 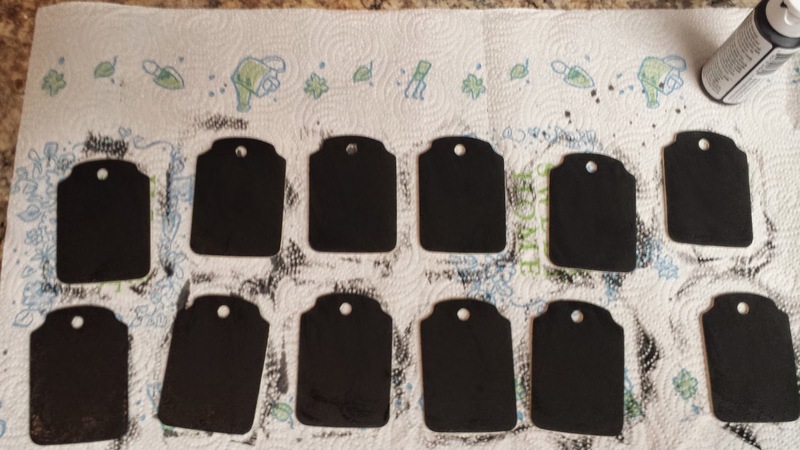 I took more of the unfinished wood tags, then covered them with the BEST duck tape I have ever seen! 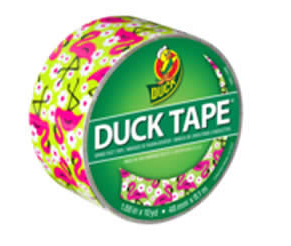 Flamingo duck tape! I could not have been more excited when I found it at Michael's, it is absolutely perfect for me! I added a black ribbon, then hung them up in my new display. It's an unfinished wooden shadowbox that I got and painted/mod podged. The white hooks are push pins that I pushed through, trimmed, them put hot glue over so there are no sharp edges. 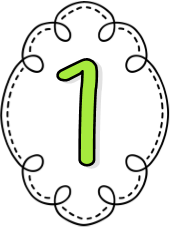 The finishing touch was the pink ribbon border. 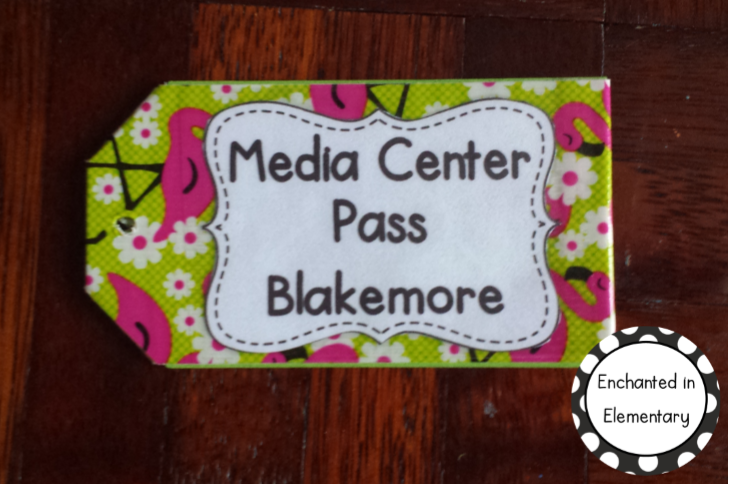 I also did the same thing for my media center passes. 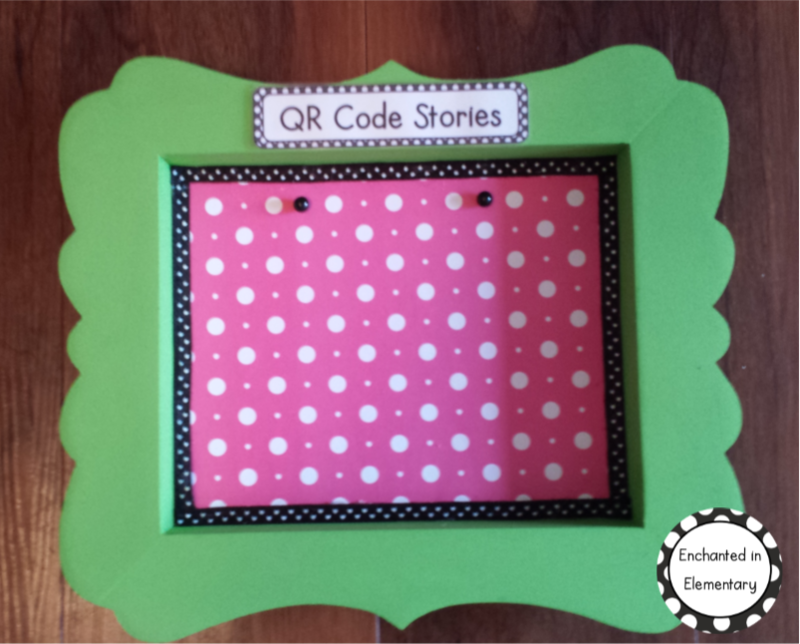 I wanted to have my QR code stories available to my students for when they finish their centers early, but don't want them to be going into my newly-made/beautifully organized binders to get them, so I came up with this! I printed a duplicate set of the code cards and will be putting them onto binder rings. 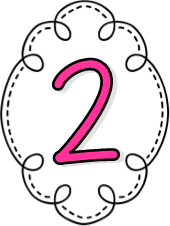 I will have two sets hanging in this display in the library for my fast finishers. 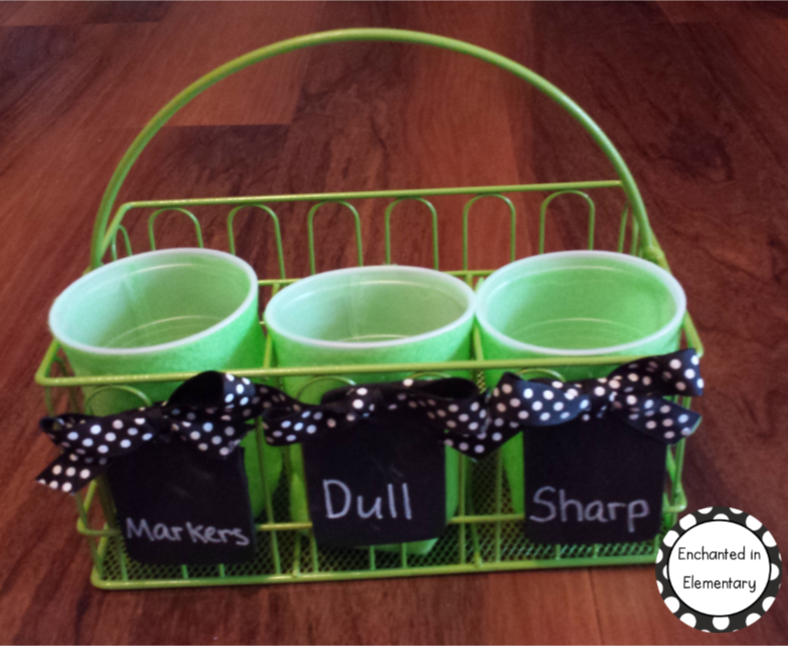 I saw this idea for turn-in baskets that require students to highlight their name with a color that corresponds to their level of understanding on Elementary School Garden a couple of weeks ago and loved it! I did want to make a few changes so that it would coordinate with the colors I use on scales in my classroom. I didn't want to take up all of the counter space with multiple baskets and already had this extra set of plastic drawers, so I made the labels to match and stuck them on. 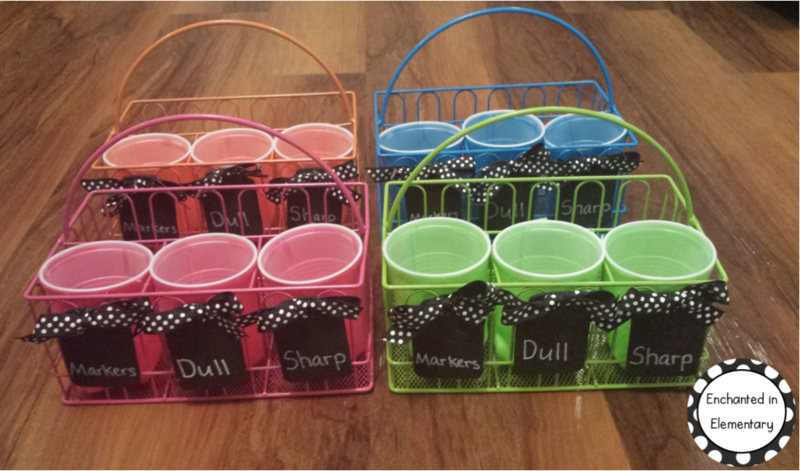 I labeled the buckets for the markers/highlighters and it is ready to go! 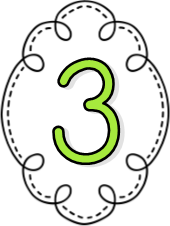 I will also have a few markers at the student tables so that there isn't a long wait to turn things in. This is the new table scale I came up with for this year. I picked the colors to match my tables (naturally), but they are also in the order that they appear in on my behavior chart. I figured it would make it a bit easier for my first graders to remember what each color corresponds to if it matches the order of our behavior chart. 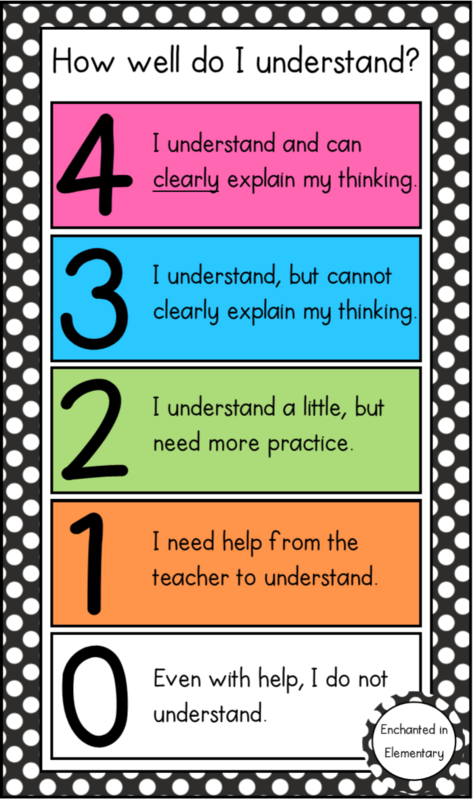 Each student will have one at their desk so that they can show their level of understanding while they are working independently. I had a moment this week when it suddenly hit me that our teacher work week starts on August 11th, not the 18th like I had thought! Naturally this lead me to a small amount of panic, I do not feel at all ready! 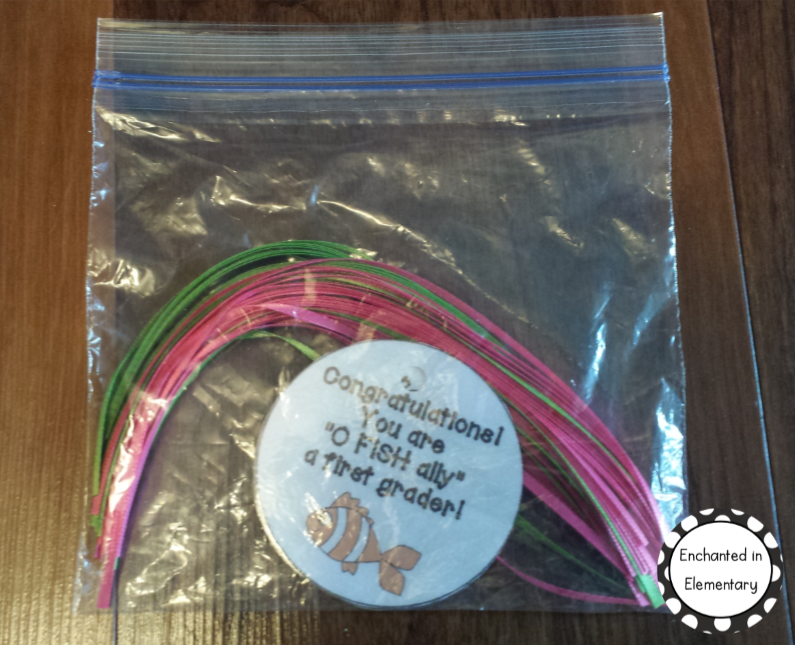 I went through my to-do lists and picked out something that I will need to have done before open house on the 15th, my tags for the little bags of goldfish I like to give out. I must have made enough for two years last year! Thank you last year me! 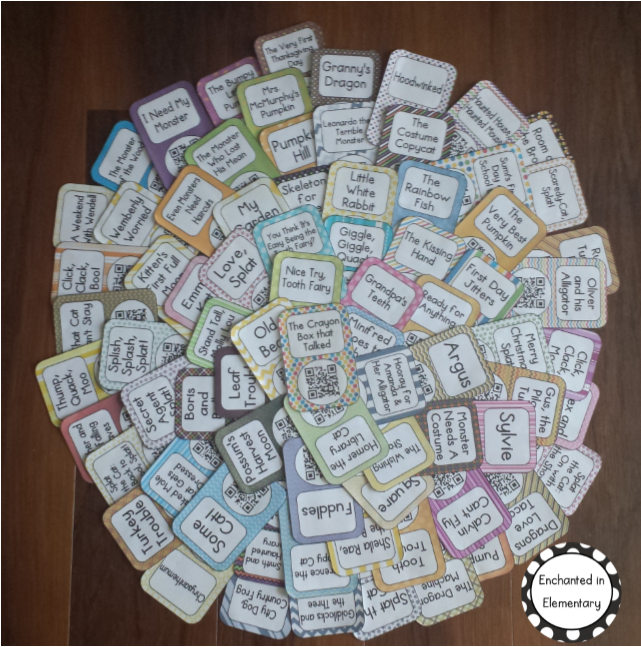 I was so thrilled to find these pre-cut and ready to go that I have decided to share them as a freebie. 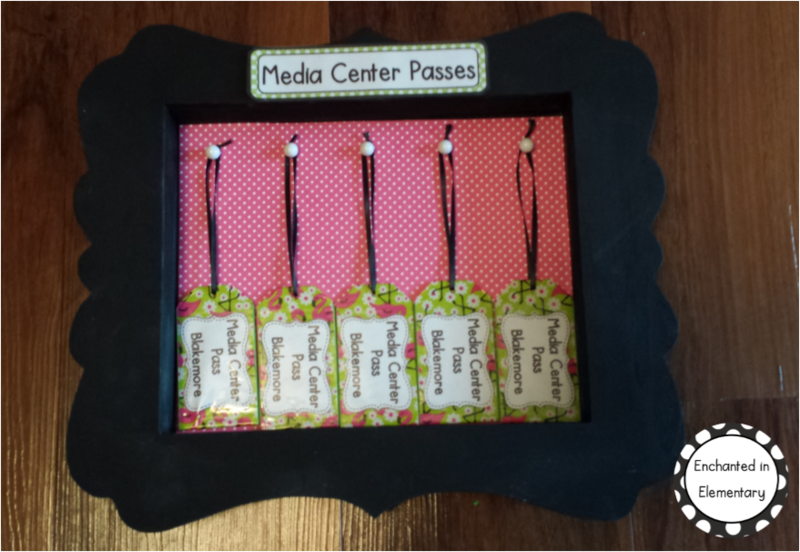 You can get the tags in three different backgrounds for grades K-3 in my store here. Enjoy! 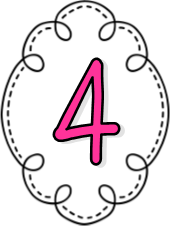 Five for Friday- Supply shelves, sewing blinds, and library fun! 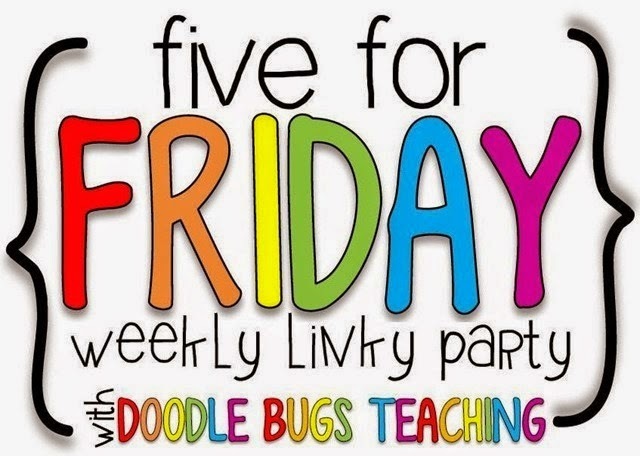 I'm linking up with Doodle Bugs Teaching for a five for Friday! 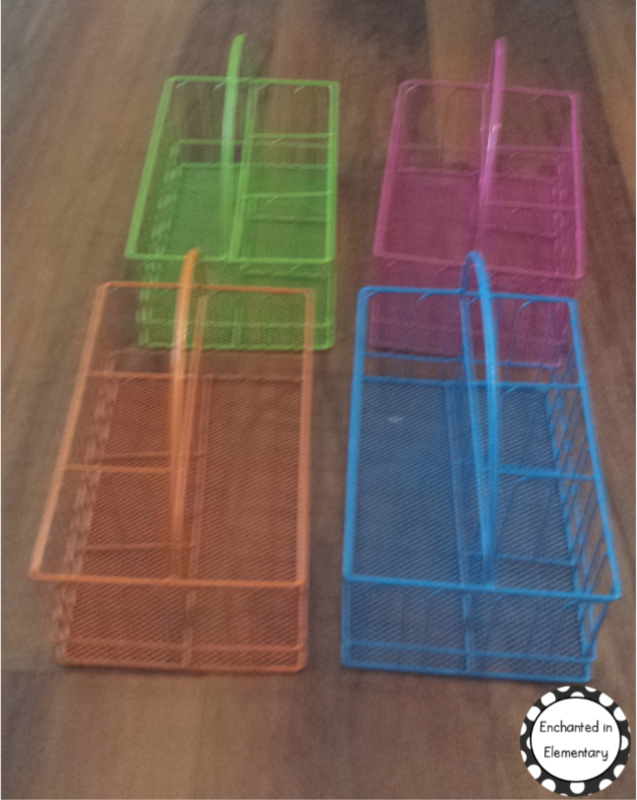 I've had a few people ask me about the supply shelves I have at each of the tables in my classroom, so I decided to find some pictures of them from last year and talk about how I use them. I got four of these shelves from Walmart and they have held up pretty well. I am going to repaint them before school starts, but that's only because the finish I used to cover the polka dots I added got pretty flaky mid-year. Each table has its own shelf that is color coded so that things stay where they are supposed to. I keep the arrangement of materials the same at all of the tables so that it is easy for the kids to find things when I switch their seats. 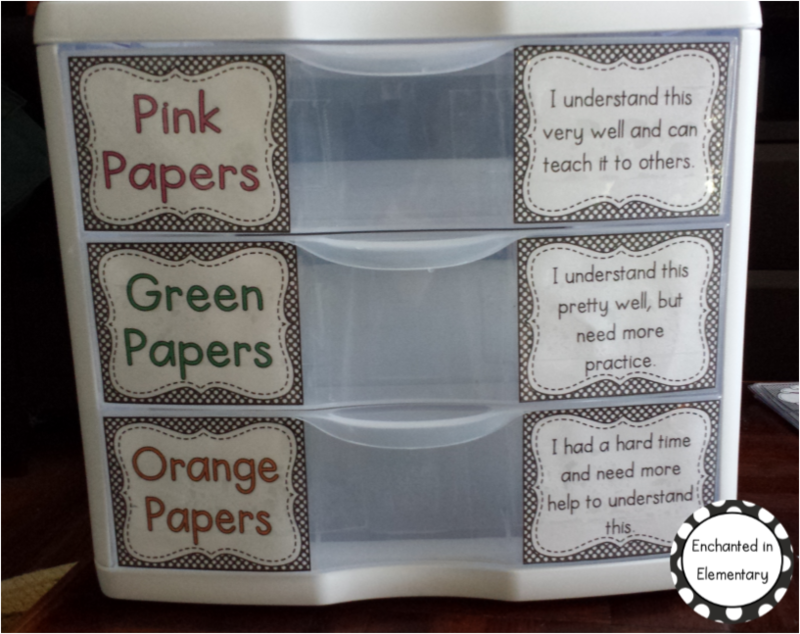 On the top of each shelf is a caddy with spots for sharpened pencils, unsharpened pencils, markers, talking chips for cooperative learning activities, and cards for checking understanding. I use the black magnetic stand for team pictures, which we take whenever they switch tables. The kids love taking pictures with their new team and I love that I end up with a ton of pictures to put into their memory books at the end of the year! 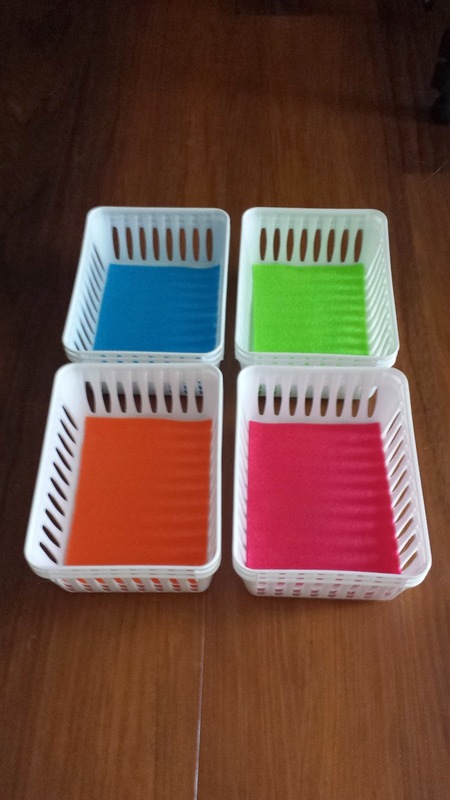 I have a basket for completed work with binder clips so that the table captain can turn in all of the table's papers together. I have found that it really helps to figure out those no-name papers if you can narrow it down to one table! 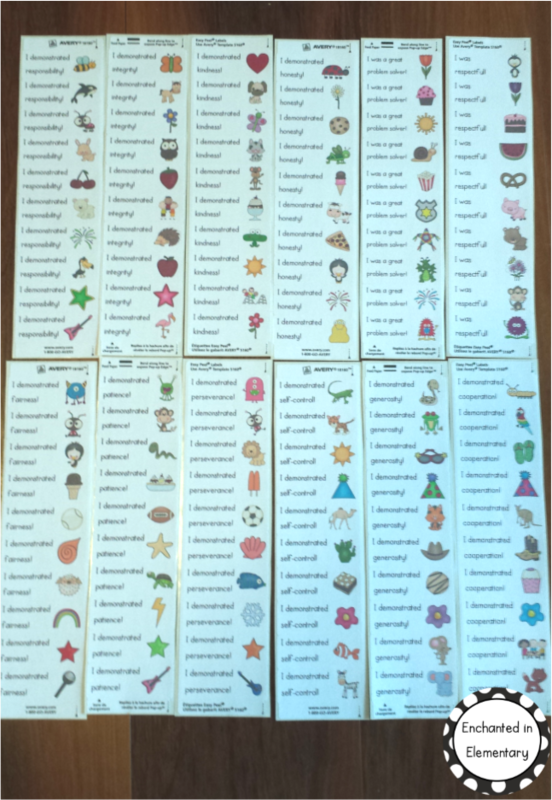 We use these to store cards with sight words we are working on, spelling words, crayon coupons for our supply store, and our teamwork cards. On the middle shelf we have a tub with our DVD case dry erase boards, wet wipes for cleaning up after snack, and cooperative learning activity supplies (partnering plate, colored pencils, etc.). The book tub is where we keep leveled readers that they can read when they finish early as well as a folder with extra practice papers/scholastic news magazines. The bottom shelf is where we keep math manipulatives- pattern blocks, snap cubes, cards, and color tiles. As for the extras on the floor, on one side we keep our "tidy tub" which we use to collect any scraps when we are cutting things out. The metal bin on the other side keeps our clipboards (which are painted to match the table color!) 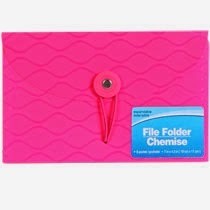 and our test covers and writing helper folders. So that's it for my supply shelves! 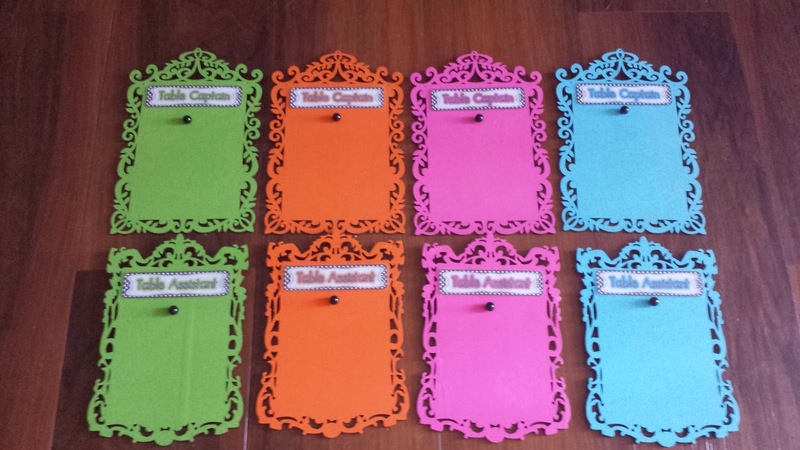 I am updating a few things for this year- the table captain signs I talked about last week and the supply caddy signs I am still working on. 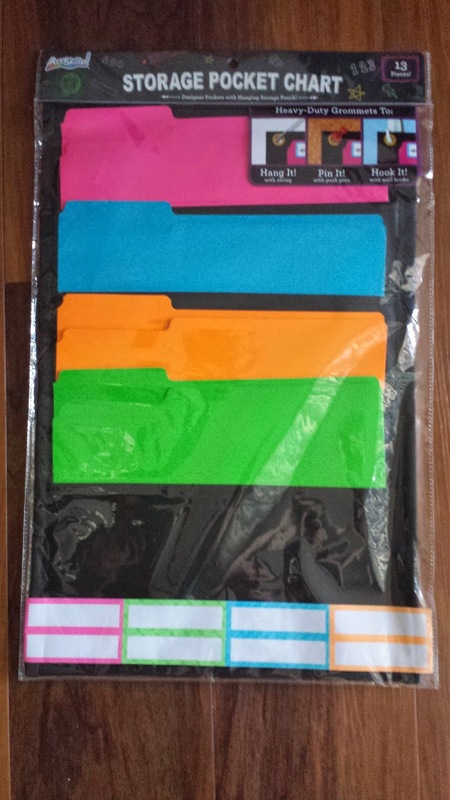 I am also thinking about adding some binders with extra practice pages in page protectors so that the kids can use dry erase markers and I can save paper! 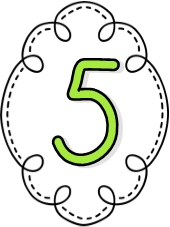 I recently signed up to volunteer at the local library, and just started there last week. I am responsible for shelving books that are returned, which is rather like what I do in my retail job, but somehow turns out to be much better, I am loving it! I am going to be starting on my master's degree in library and information studies with a focus on school media in January, so I think it will end up being good experience. 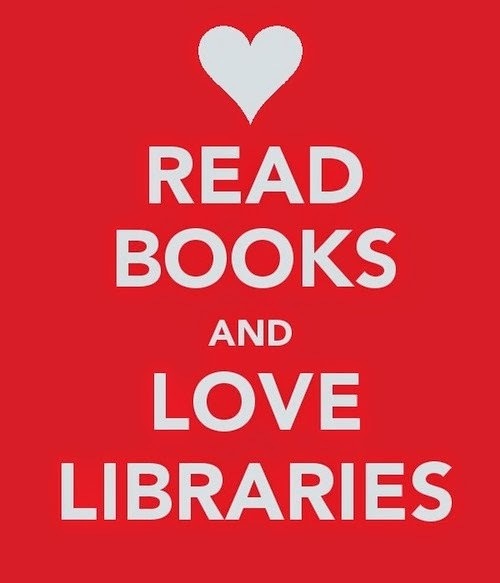 Also, who doesn't love the smell of books?! 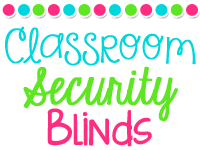 In addition to my time at the library, I have been helping my mom sew her classroom security blinds so that she can keep up with all of the orders coming in! 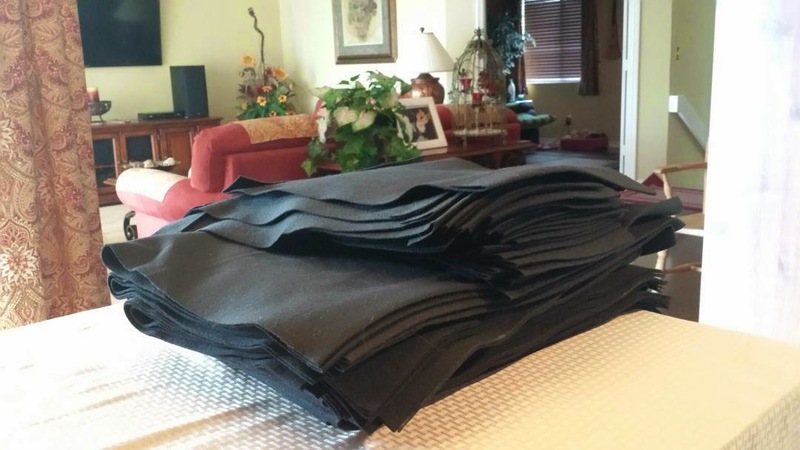 I haven't had much time for sewing lately, so it was a bit nerve-wracking to be working on an order for a school, but I survived! I went to Target the other day and found the most amazing new additions to my classroom! 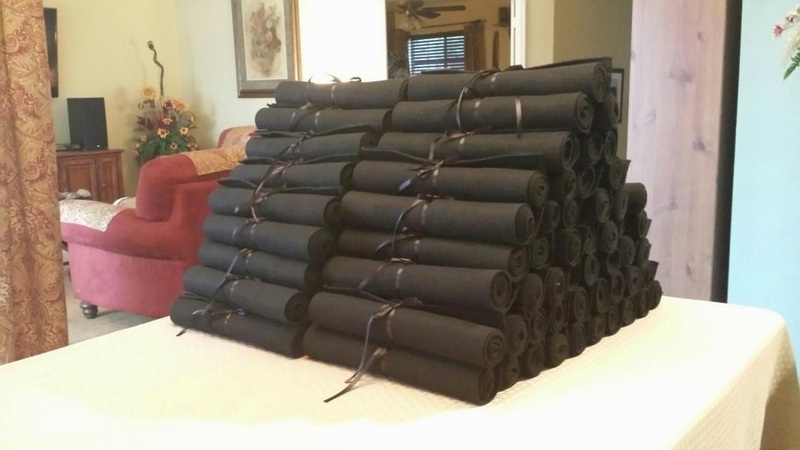 Not only is it black, but the four folders it came with are the colors of my reading groups, and it will fit on the back edge of my white table. All of these amazing features for.... $3.99! I could not have been more excited! 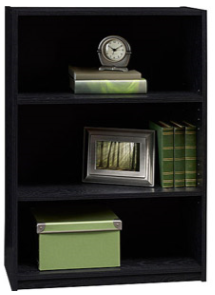 I also came across this storage ottoman for my library. I am changing up some things in my library this year, getting rid of the cheap pink rug I got from Walmart and replacing it with the most amazing black and white polka dot rug. 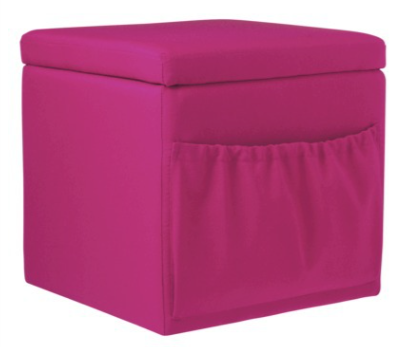 I am also adding a bright green bean bag chair, so this pink ottoman will be perfect! 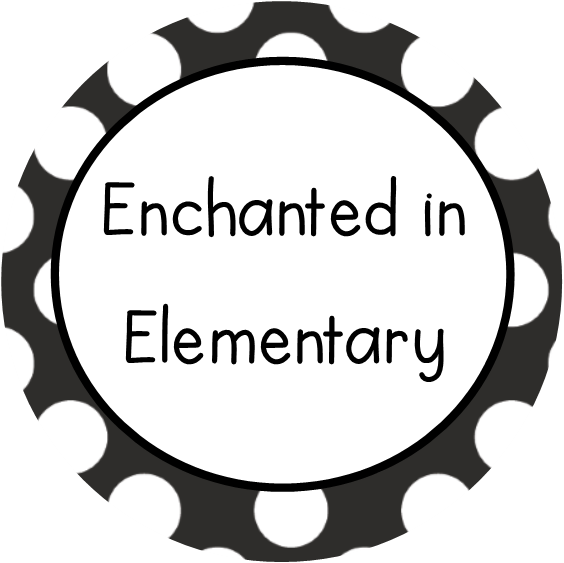 I am thinking about keeping some of the stuffed animals that the students can keep at their desk as a reward inside the ottoman so that they are out of the way when we aren't using them. Last, I have to mention my dear little Maggie. 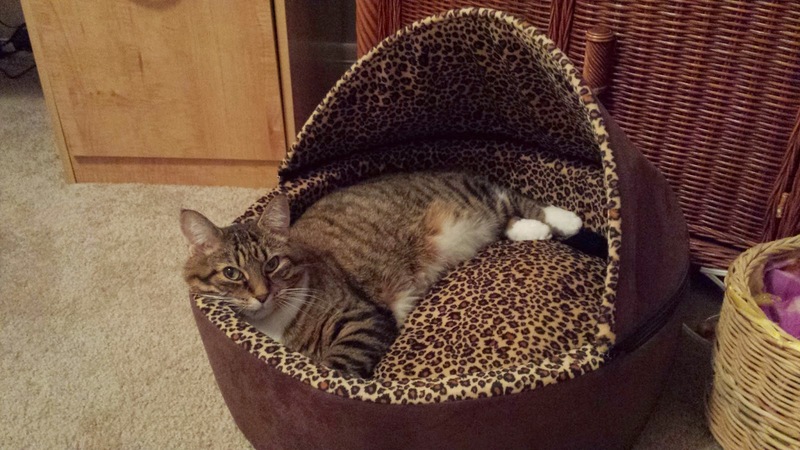 She has recently been diagnosed with arthritis in her tail and two of her legs. 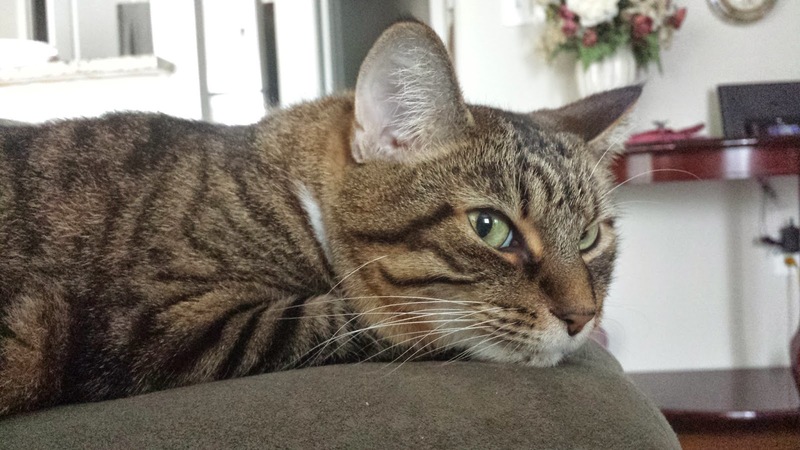 :( The vet gave me some steroids to give her because she was in pain at the time, but I was concerned at some of the potential side effects- diabetes and kidney problems! Well, I thought that was too much of a risk to take when she is still moving normally and only complaining about pain occasionally, so I have started a very strict anti-arthritis regimen with her! Maggie receives one capsule of cosequin every day and is given mandatory playtime to keep her joints active! Naturally, the playtime is the favorite of the two. 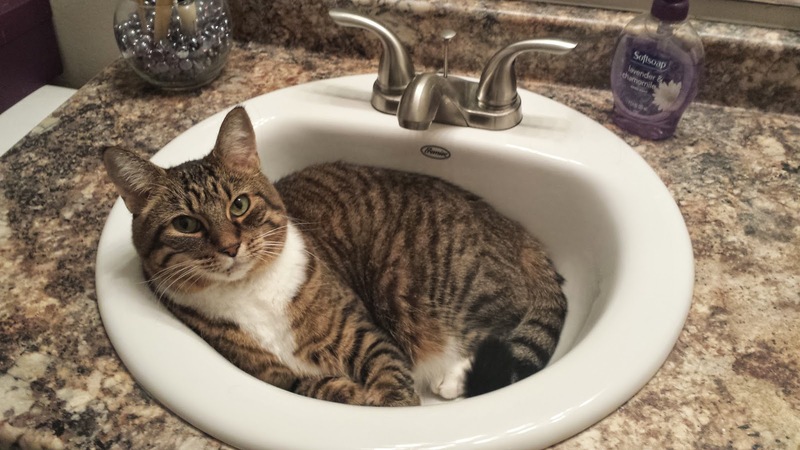 It doesn't get too warm, just enough to make her want to be in it all the time, she loves it! 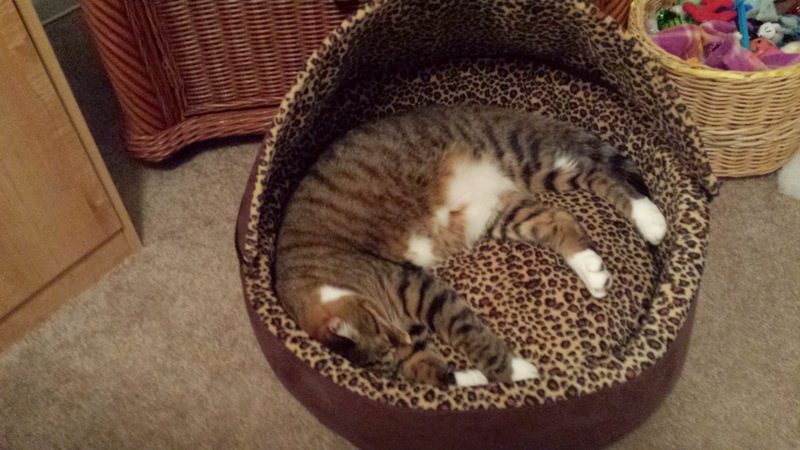 And now Maggie is back to her old self- living dangerously! 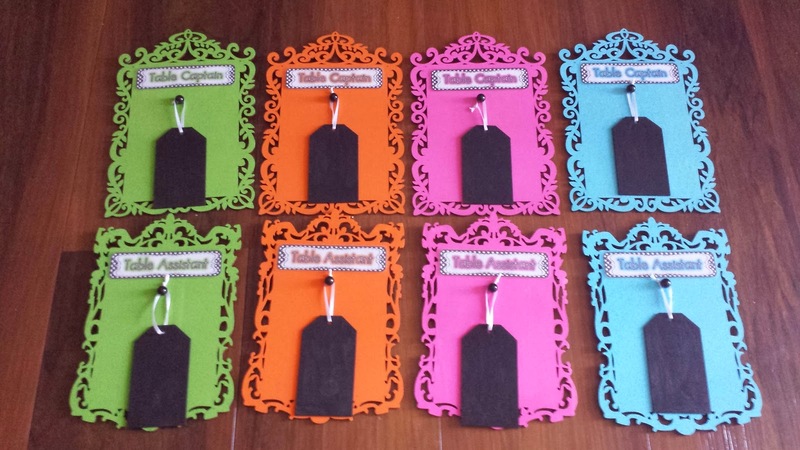 Monday Made It- Table captain signs, labels, and a quiet solution for math games! Happy Monday! 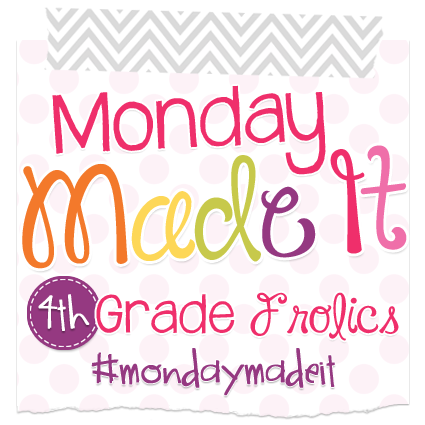 I am linking up with 4th grade frolics for another Monday Made it! 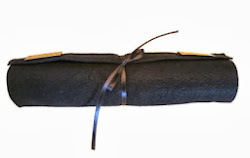 I am pretty excited about my first made-it this week, I think it will be a big improvement over last year! I have table captains and table assistants at each table, and they change every week. I used to have the kids write their names on the whiteboard at their table when it was their turn, but the names were always getting messed up. So I came up with this- these wooden plaques were on clearance and I could not resist! 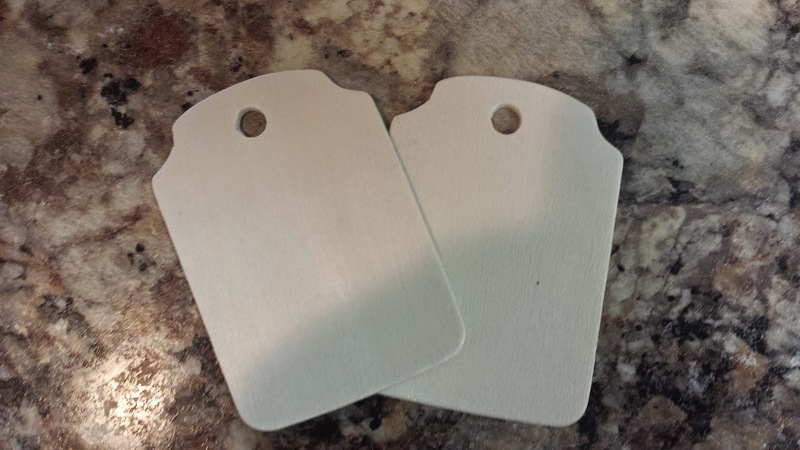 I took some wooden tags that I got on sale (10 for 70 cents!) and painted them black. Voila! 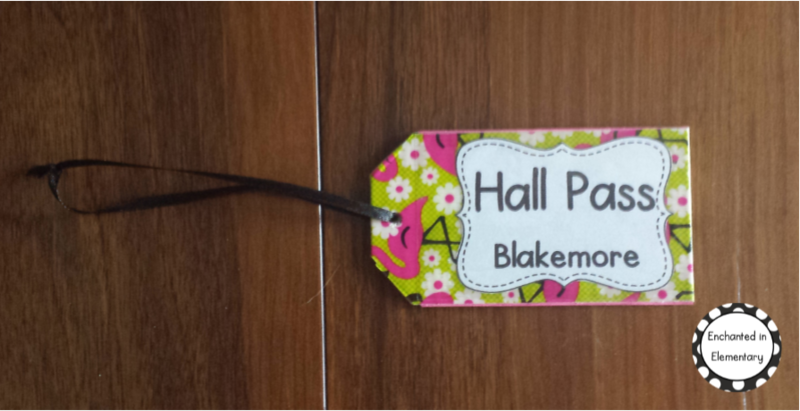 Each student will have a tag with his/her name on it that can be hung on the hook when it is their turn. I plan on attaching the signs to the bookshelves in place of the whiteboards from last year. 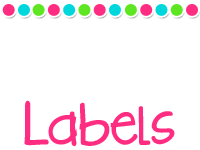 Nothing too exciting for my second made-it, just some labels for folders and notebooks on the first day of school. I was pretty pleased about having this done until I remembered that I no longer wanted to have a homework notebook next year... sigh. I might have to do it anyway so that I don't waste the labels! The labels are sized to print two per Avery 8164 label. 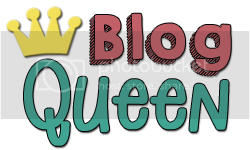 You can get your own free editable set here. Just save the document to your computer to edit. Last up for this week: something that will help with those noisy afternoons in math- dice trays! 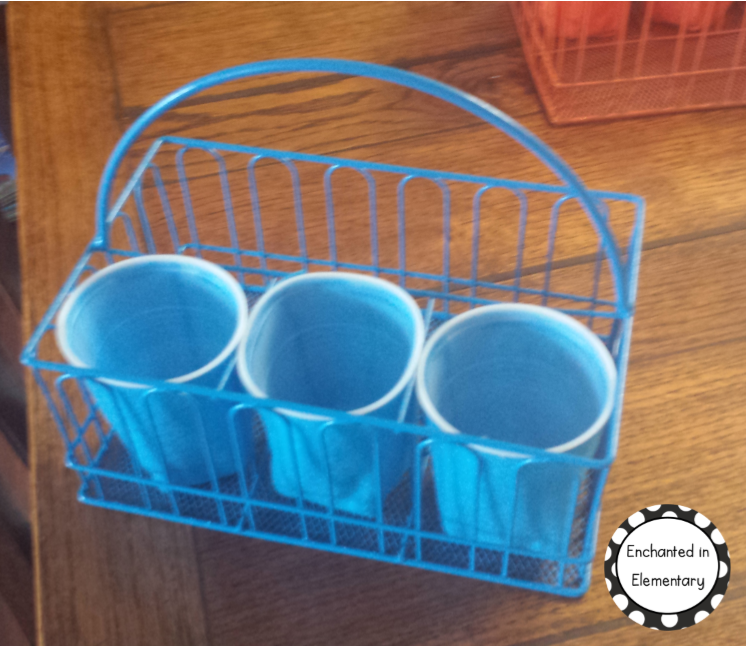 I got the trays last year (3 for $1 at the dollar store), but never got around to making them. You would think that with all the noise/hassle of dice hitting tables and/or suddenly flying across the room that this would have been a priority, but it somehow escaped my to-do list! The little plastic trays are lined with felt that will match the table it goes with, of course! I was hoping to have the 120 pocket chart I talked about last week done for this Monday, but it is turning out to be quite the project, fingers crossed for next week!